Offering two different tours throughout the US capital, there is no better way to get a taste of the city! Head north to try the U Street Food Tour to explore art + architecture as you munch or taste the diversity of D.C.'s Oldest Neighborhood on the Georgetown Food Tour. Have a private event in mind? They will work with your group to make a deliciously perfect experience. Keep reading to learn how this tour company gives back while touring the town! Mary Collins, founder + owner of Carpe DC Food Tours! How would you describe Carpe DC Food Tours? Whether you’re visiting for the weekend or planning a special event with friends; our tour itineraries are designed to make you feel more like a group of friends discovering a new city than typical tourists. We focus on local, community-driven restaurants whose food isn’t just delicious; but reflects the city’s dynamic culture! Combine good eats with cool facts about the neighborhood's evolving culture and history, and you’ve got yourself quite a perfect day. Our business was inspired by the favorite parts of our travels all over the world, as well as a goal of creating easy ways to give back to locals while travelling. We think travel should have an positive impact in a community while being easy on the traveler. We are DC's first one-for-one food tour - meaning a portion of every ticket sale goes to feed a local resident in need for a day. To date, we've donated over 15,000 meals to our local non-profit partner, Bread for the City. My biggest challenge was balancing everything in my life. We worked on the business as a side job for 4 years, before it was big enough for me to quit and work full time. Making time for it, as well as a day-job and family was a constant struggle. Our business is designed by travelers, for travelers. 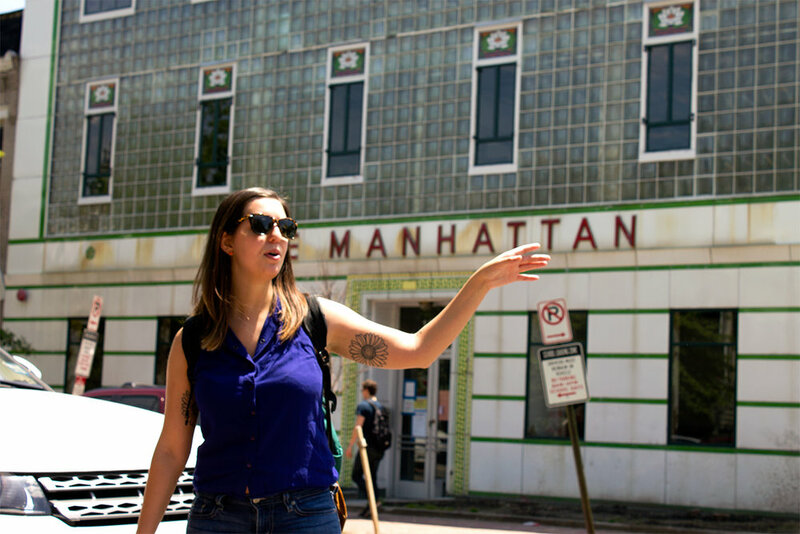 We have anthropology backgrounds which I think allows us to tap into community and society trends, make connections, and tell the stories of the neighborhoods in a unique way. New Orleans, the food + culture there is so rich and diverse, its a fun, delicious and fascinating part of our country! Taste - obvious answer from the food tour owner :) but I think taste solidifies memories in a way sight and sound don't. I still specifically remember the tastes of foods I tried in other countries, which pulls back the entire experience. Visiting Gulu, Uganda and meeting with community of women bead makers for a class project. I got to sit down with them, talk about their lives, working for the NGO (non-governmental organization) and understanding their struggles. Getting to know people far away who live such different lives, makes the world feel smaller. It motivates me to help in anyway I can, and feel like I can make a difference. Have any questions about Carpe DC? Let us know in the comments!